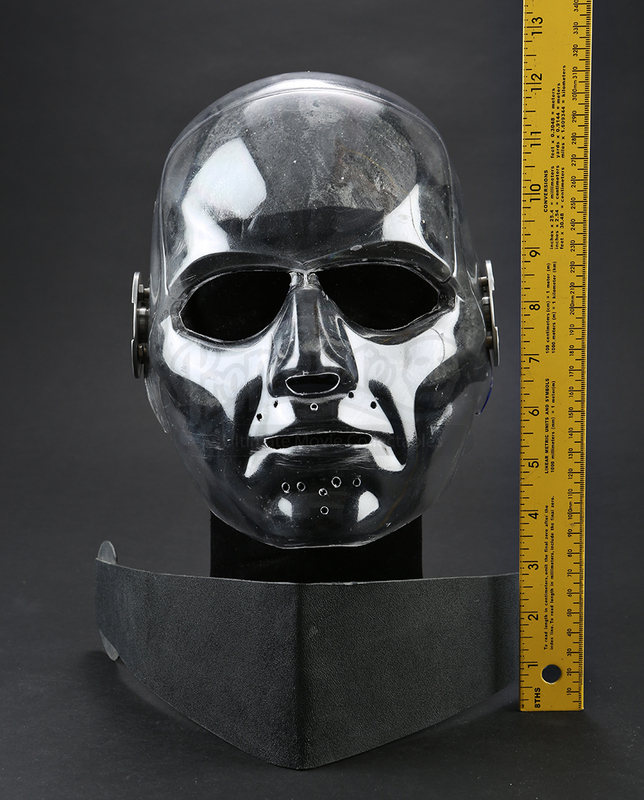 A prototype Snake Eyes (Ray Park) mask with visor. An elite military group known as G.I. Joe must fight an evil organization. 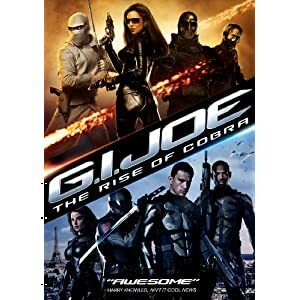 Snake Eyes uses his elite training to help advance the G.I. Joe cause. 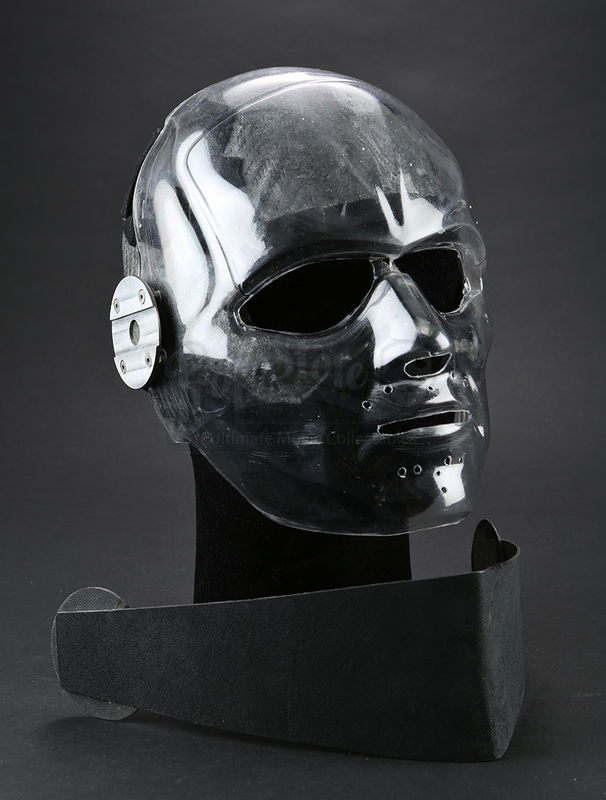 This mask is made from vacuformed plastic attached to a carbon fiber cap. The carbon fiber cap is lined with padding for comfort and is adjustable at the back. 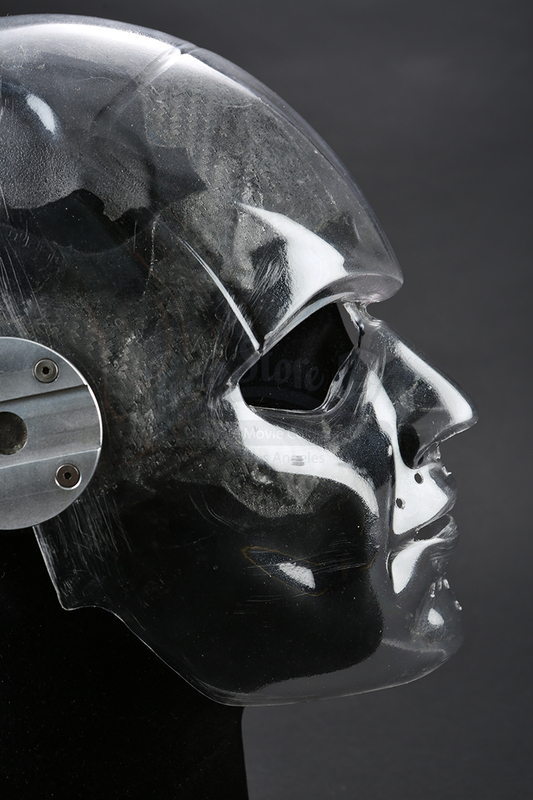 Additionally, two circular metal pieces are attached to each side of the mask showing where Snake Eyes' signature visor would rest. 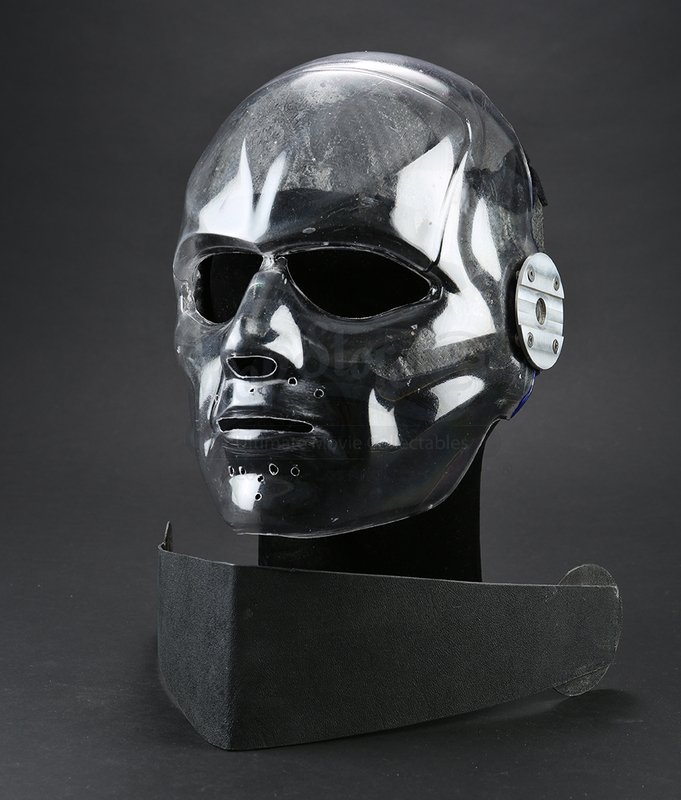 The included visor is a simple version cut from plastic and serves as a general idea for the shape of the final piece. Showing signs of wear from use and storage, this set is in overall good condition.